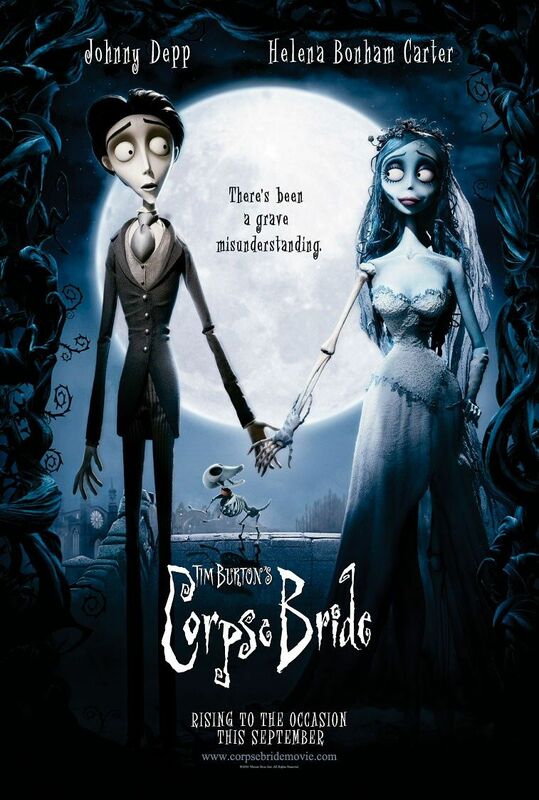 Corpse Bride is a 2008 feature length stop motion animation co-directed by Tim Burton and Mike Johnson. This case study will hope to analyse the film’s use of stop motion animation, what techniques are being used, and why the use of stop motion in the movie is appealing to the audience. At first glance it is a visually similar movie to Tim Burton’s earlier Nightmare before Christmas. The characters feature long limbs and are almost skeletal in nature, even the “living” characters. I think this helps with the creepy, gothic, surreal aspect of the film’s content. For example many characters are undead, and while this would come across quite scary in live action, its tamed down for a more general audience in this movie but it doesn’t lose that creepiness. This film doesn’t try to hide that it’s not a stop motion movie. The characters and settings have physicality to them that the audience can connect to. There is a great use of texture in the set locations, particularly in the underworld and the town. The visual style of this film is enriched by the use of stop motion, there is texture everywhere. Detailed sets and attention to detail in the craft is something you can really appreciate. In this scene (pictured above), you can see the attention to detail such as which helps to create vibrant and engaging worlds. The physicality of stop motion is something most filmmakers take advantage of as brings in more lighting, depth and shadows that stop motion enhances so easily. Corpse Bride has a very black & white tonal palette that also includes a lot of blue. Overworld scenes are contrasted with the underworld with their use of colour. Ironically the overworld is more monotone and grim compared to the more colourful underworld, an obvious visual trick to make the point that the ‘dead are more alive than the living’. Understand how stop motion is used in the film. Identify common themes and techniques. Compare this film against other films and the themes or techniques other films use. I will go into the next case study with a better understanding of what to look for that will be more beneficial to analyse and that can better inform my practice.